Cameron 'had stake in offshore trust' Jump to media player David Cameron has said he and his wife used to own shares in an offshore investment fund that were worth more than £30,000 - but sold them in 2010. 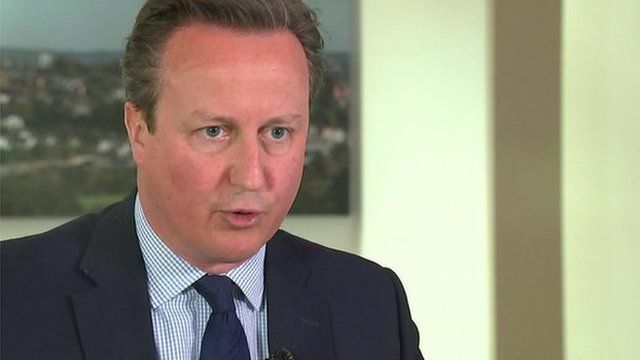 Cameron: 'I have no offshore funds' Jump to media player After being questioned about his financial affairs in the light of the Panama Papers scandal Prime Minister, David Cameron has said he has 'no offshore funds'. David Cameron has said he and his wife used to own shares in an offshore investment fund that were worth more than £30,000 - but sold them in 2010. The PM has faced questions over Blairmore Holdings, a Panama-based company set up by his late father Ian. He told ITV News he did not have "anything to hide" and there had been a "fundamental misconception" that it had been set up to avoid tax.